Home » Starting up with the Oracle Java Cloud Services. can take some time, 30 minutes or more, for database and Java service. However, it is free version and we shouldn't expect more. It's enough to have a first experience with all the Oracle services. result. Every time when you try to create new instance, you'll receive email with warning about over limiting usage of a storage. Figure 1 - View from the dashboard in Oracle Cloud My Services presenting ongoing quota breach communicate. button placed in the right top corner of the frame for the service (see Figure 4). Figure 3 - View to manage access rules for Oracle Java Cloud Service. Now I would like to introduce set of concepts that are commonly used in context of using Oracle cloud services. They can be useful to understand further steps of your cloud configuration. Cluster consists of multiple interconnected computers or servers that appear as if they are one server to end users and applications. Node is a computer system on which an instance resides. Instance (Oracle RAC database): each node in a cluster usually has one instance of the running Oracle software that references the database. Load balancing is a technique to spread load between alike computers for service availability. Oracle RDBMS (relational database management system) simultaneously while accessing a single database (providing clustering). We can also say that cluster is an object and load balancing is a method. In Figure 5 you can find scheme presenting load balancer serving for one cluster placed in oracle cloud. 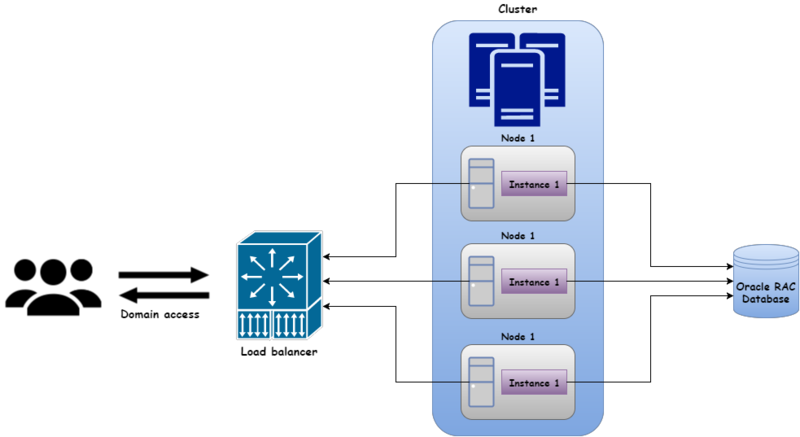 Figure 5 - Load balancer example in a cloud with one cluster. 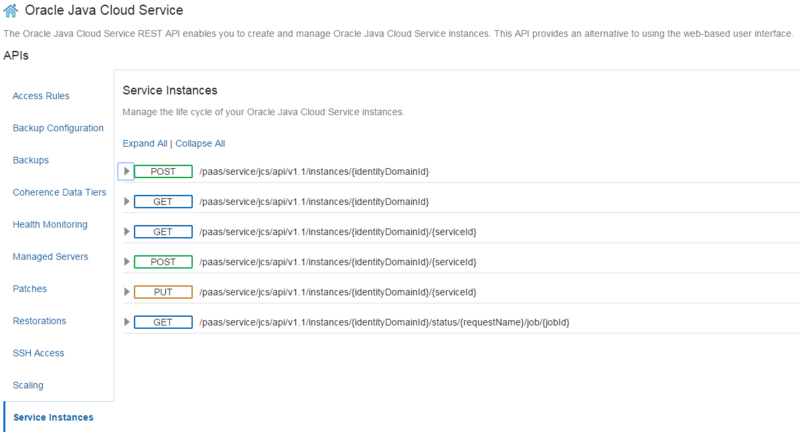 you select REST APIs for Oracle Java Cloud Service you can create a new instance of Java Cloud Service with POST request and given endpoint (Figure 7). Other services have its own REST APIs. 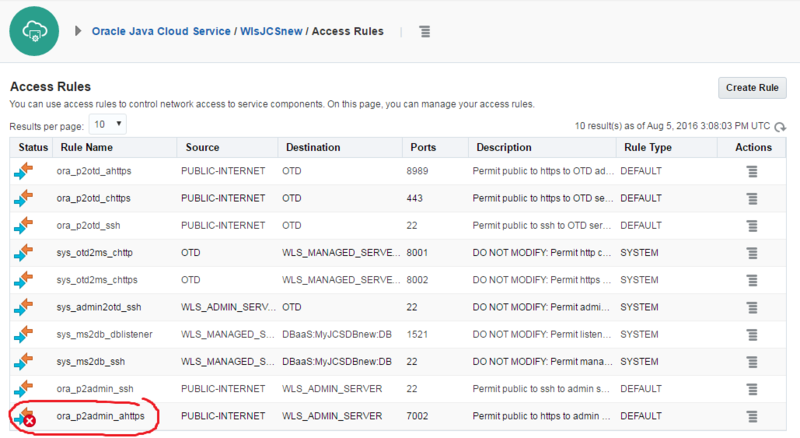 Figure 6 - Access REST APIs from My Services on Cloud. Listing 1 - cURL command to request an authentication token. Listing 2 - cURL commands to create Oracle Storage Cloud Service containers named JCSContainer and DBContainer. For every command we need to specify the header values and REST endpoint URL. you can see how to log in to an instance as a default user (opc) with sudo privileges. You can also get some handy system information with below unix commands. Listing 3 - Create SSH tunnel for Oracle's VM and getting system details. Listing 4 - Connect with Java Cloud Service via SSH. Listing 5 - WLST script to connect into Node Manager and start Administration Server. represents WebLogic and IaaS is a virtual machine in case of Oracle Java Cloud. More about Accessing a VM through a Secure Shell (SSH) and WLST you can find in the references [3,4,5]. more about it in the Oracle's documentation . to the Cloud instance using scp utility from your local machine into VM. 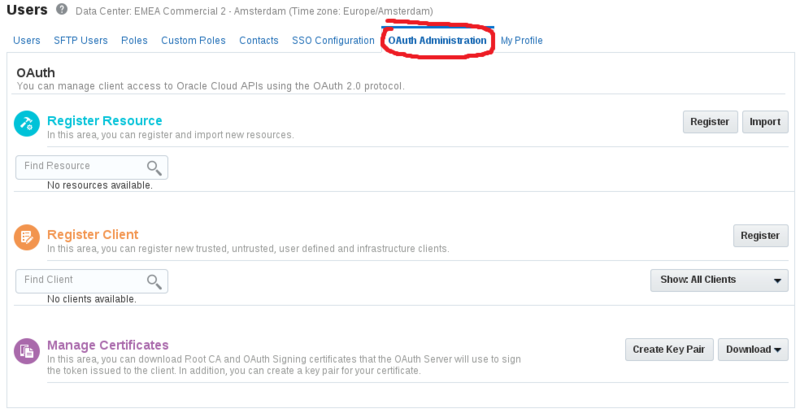 you'll find how to create an SSH-enabled user on an Oracle Compute Cloud Service Instance and enable sudo privileges. enough time to investigate how it works during my summer program at CERN. However, it seems very promising and don't hesitate to send me a feedback about how it works for you. Figure 8 - OAuth protocol administration panel. struggled also with WebLogic server and in a few cases I had to manually start NodeManager, Admin and Managed Server. however after expiration of my previous trail account process of registration for the new one was very fast and smooth. Concluding, free trial version offered by Oracle is very useful to get familiar with all the services. I encourage you to give it a try and share your experiences!